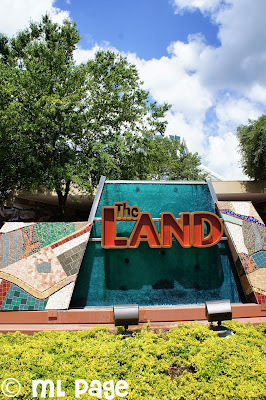 Picturing Disney: The Land: Soarin' Above It And Living With It! Do you dream of adventure but reality keeps you from being a daredevil? How many of us have wanted to skydive, bungee jump or – (you know where I’m going with this, right?) hang-glide? Of course lots of people do these activities – life presents the opportunity and they go for it. But how many kids are too young? And many parents say “I can’t now. I am responsible for someone else.” OK, and maybe some of us (I'm not saying me) are just plain scared. I can tell you - there is no reason to fear Soarin'. In fact, I'm a little obsessed with it. It's not just the sense of adventure that amazes me. It's the fact that we have come so far with technology that this kind of simulation can be produced! I mean, I am of the generation where a video game was once two lines and a dot which volleyed back and forth to imply tennis! Seriously, head over to The Land in EPCOT and get yourself on Soarin'! For just a few brilliant minutes, adventure is all yours! It's an incredible hang-gliding simulation ride over the sights (and sites), sounds, (and yes, even subtle smells), of California. The 40 foot screen puts you right into the sky. There is no foot rest, so you really feel like you are hanging in the air. Soarin' isn't just a ride. It's a work of art in mid-air. Don't miss it! *There are interactive games which you can play while waiting on line for Soarin’. If you can, it is worthwhile to get a Fastpass. Lines for this attraction can be long, but it’s well worth the wait! 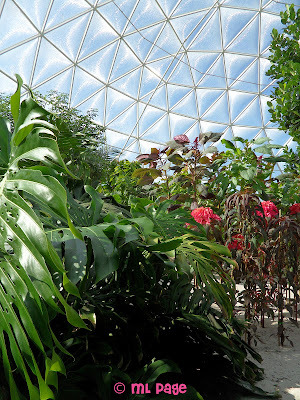 Living with the Land – A boat ride which gives an eco-look inside a futuristic greenhouse. You will see new directions for harvesting organic foods and horticulture, and get a glimpse into the future of efficient, healthy farming. Behind the Seeds Tour –a one-hour walking tour through the fish farm and greenhouses in The Land. Participants can expect to learn more about natural science and the future of horticulture. (Additional Fees apply). The Garden Grill, is a dinner-only, slowly rotating restaurant, which serves foods harvested on-site. Food is served family style and characters, (Chip and Dale amongst others), come to your table. You will also view the Living with the Land ride from above. This is a really cool combination of the Disney character magic and a real taste of the food being produced in The Land Pavilion. (Definitely get reservations. This restaurant fills up quickly). The Circle of Life is a theater attraction, which stars the characters from The Lion King. It is a 20-minute film, which introduces children (and adults) to the concept of being kind to the earth. Don’t miss The Land in EPCOT – it’s an amusement park in and of itself!